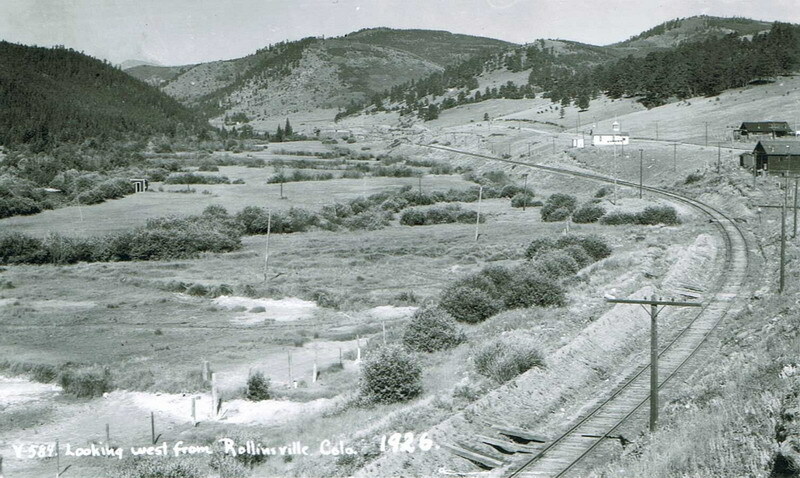 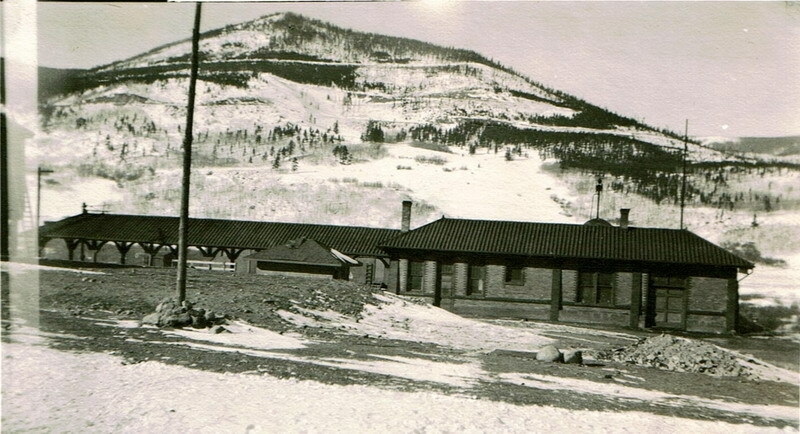 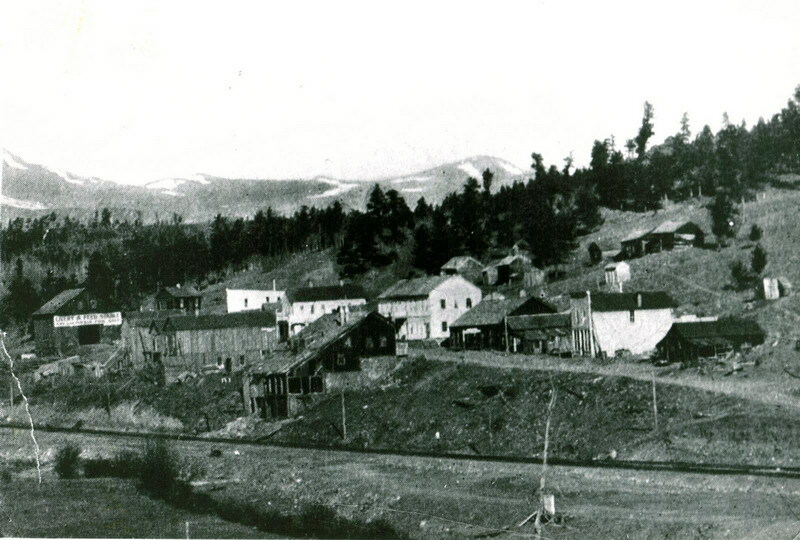 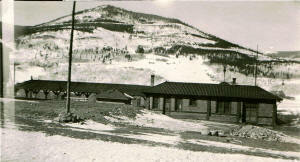 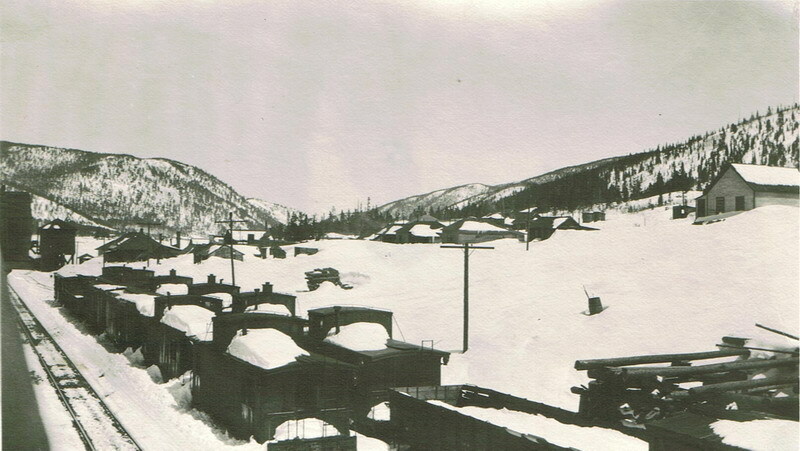 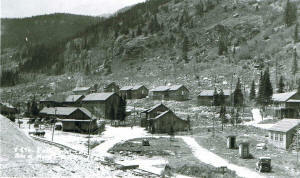 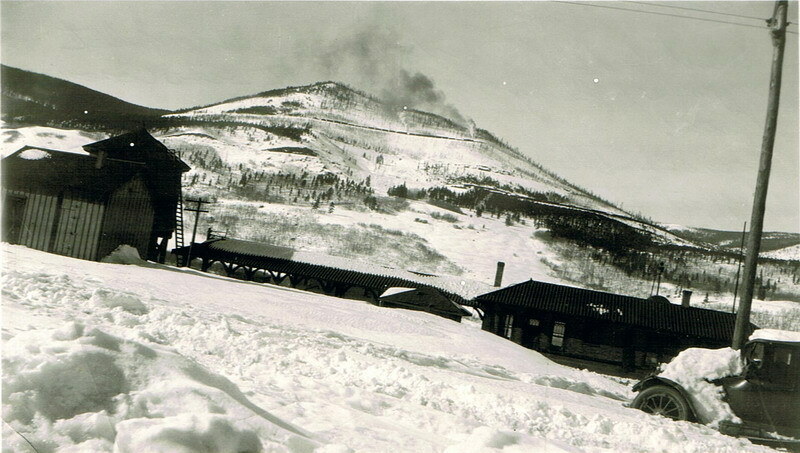 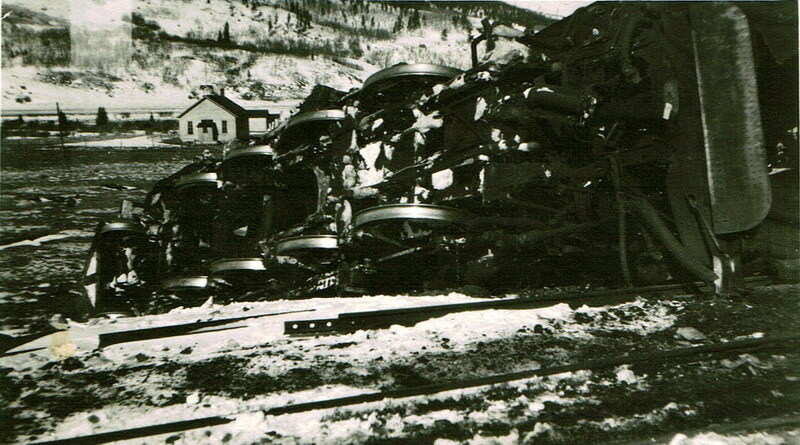 There was another railroad that traversed Gilpin County from the early years. 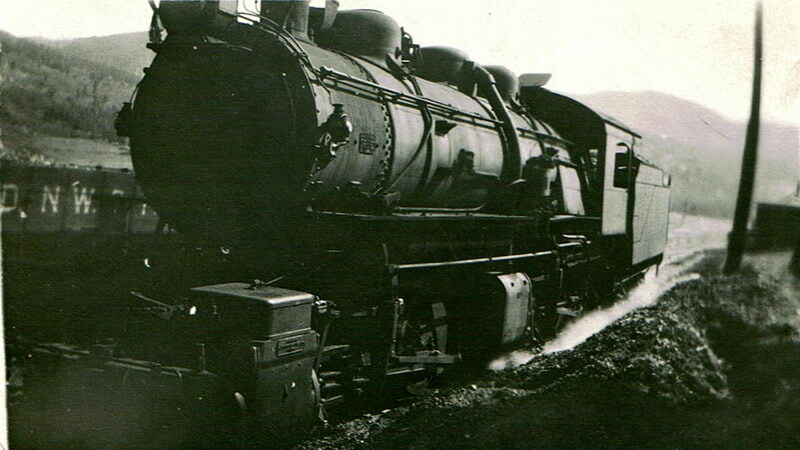 This was David H. Moffat's Denver, Northwestern and Pacific, later the Denver and Salt Lake, and finally incorporated into the Rio Grande Western. 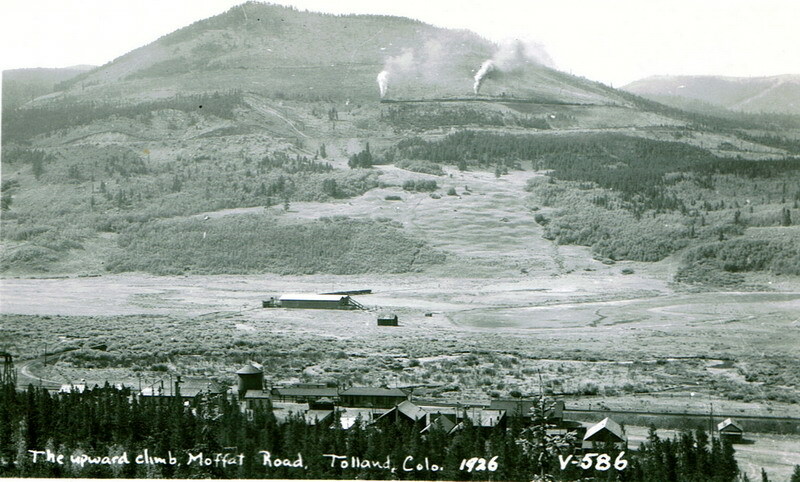 But under all it's names it was famously known as the Moffat Road. Prior to 1902, the only way west from Denver was north to Wyoming and the Union Pacific or south to Peublo and the Denver and Rio Grande. 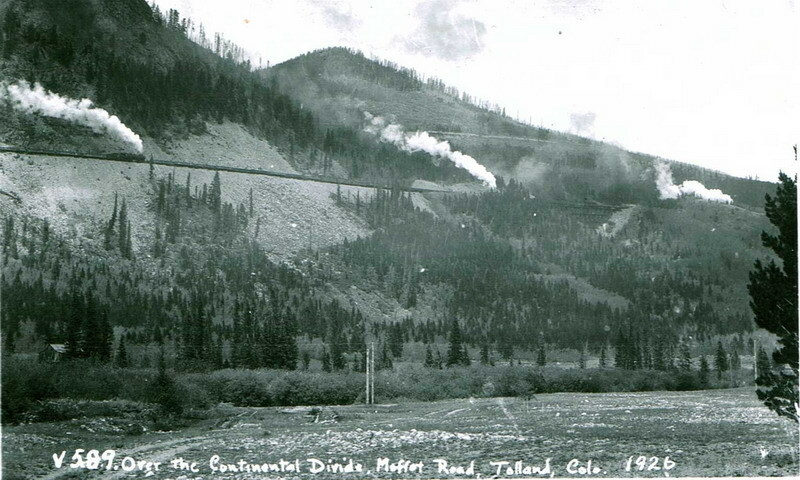 Denver needed a road west and David Moffat decided he would provide it. 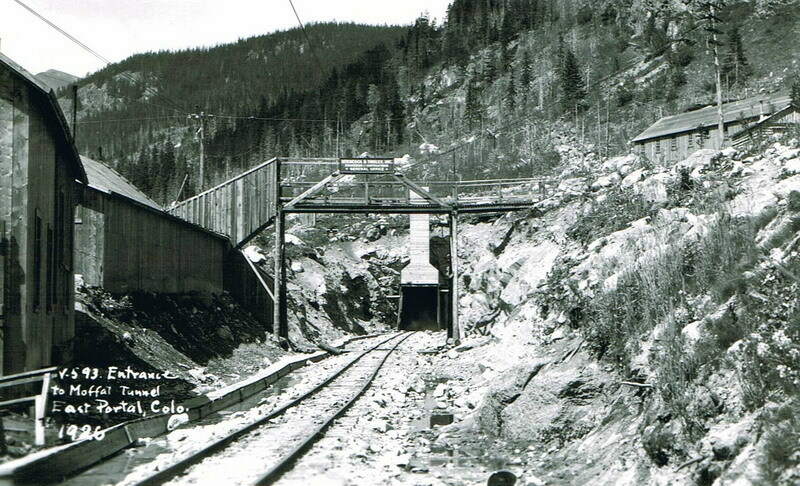 Construction of this standard gauge railroad from Denver was started in April of 1903. The route did not go up Clear Creak Canyon like the Colorado and Southern but instead up South Boulder Canyon passing up Central City and Black Hawk about 8 miles to the north. 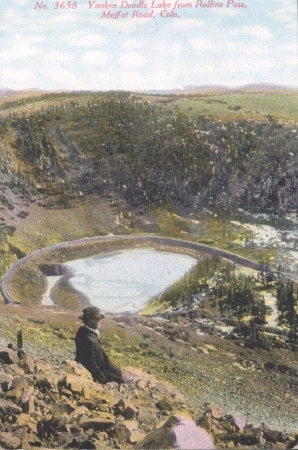 By 1905 the trackage had gotten to Gilpin County and to pass over the divide to the west climbed up and over Rollins Pass (Corona Pass) to Hot Sulphur Springs. 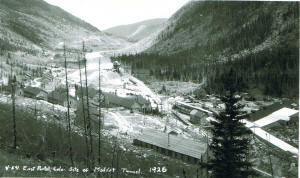 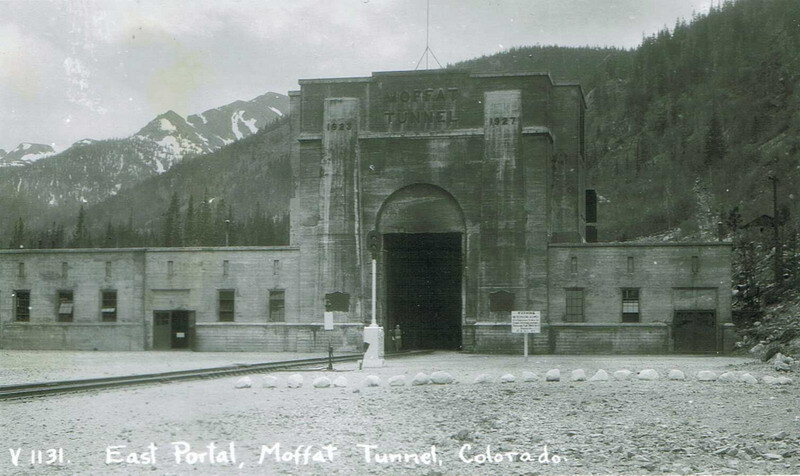 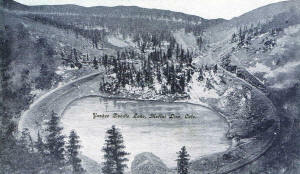 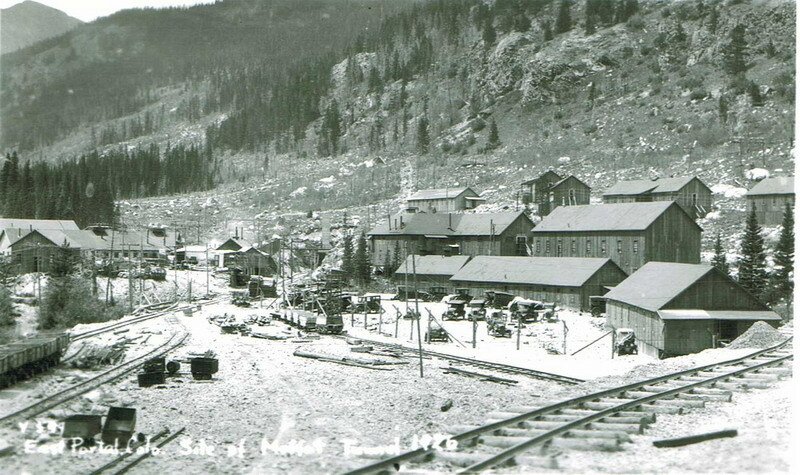 Originally, Moffat intended to go under Rollins Pass by tunnel, but finances prevented it. 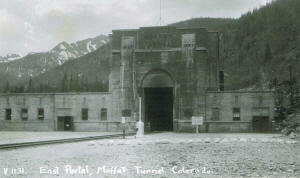 The 6.2 mile Moffat Tunnel was finally constructed in 1927, long after Moffat had died, and the railroad had been reorganized due to bankruptcy into the Denver and Salt Lake. 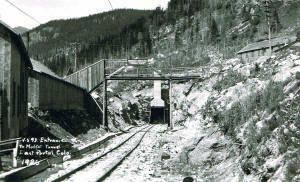 Below you will find some pictures of the line as it passed through Gilpin County.